What exactly is an orbit? 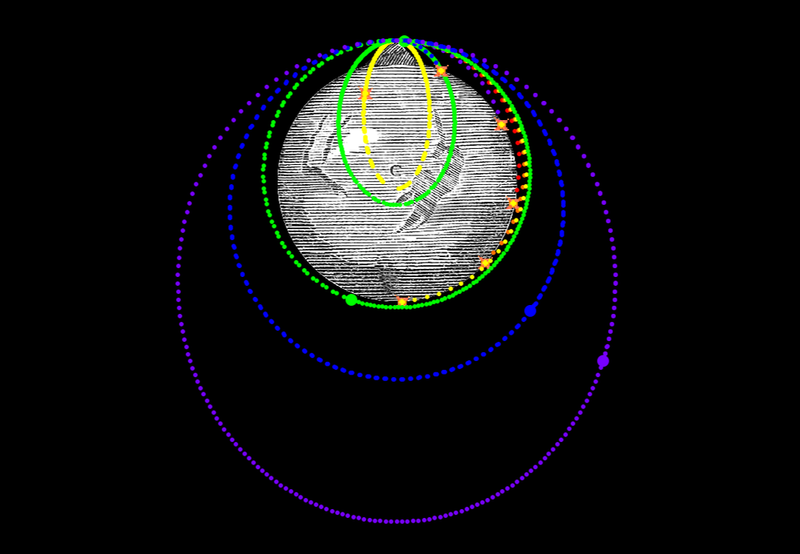 Discover how orbits behave with the Newton's Mountain program. Fire projectiles off the top of the mountain and watch them collide with the Earth. Increase the velocity so that they miss the surface and fall into orbit. Feel free to turn off collisions as well and watch how a body would orbit if the Earth was not in the way. Finally you can use extreme velocities and get hyperbolic orbits or use vertical velocities.